​BOOK NOW! CLICK TO CALL! Our mobile pet grooming company has a reputation throughout Hollywood as the superior mobile dog grooming service. We are a family-owned and operated company that has been around for generations. Our policy is to keep every customer happy by providing convenient and affordable mobile pet grooming. We focus on customer service by discussing your specific needs and desires before beginning any grooming. Special requests and customizations are welcomed and encouraged. If you ask around Hollywood, you will find satisfied customers who love our cost-effective and efficient ways of grooming your pet on the go. 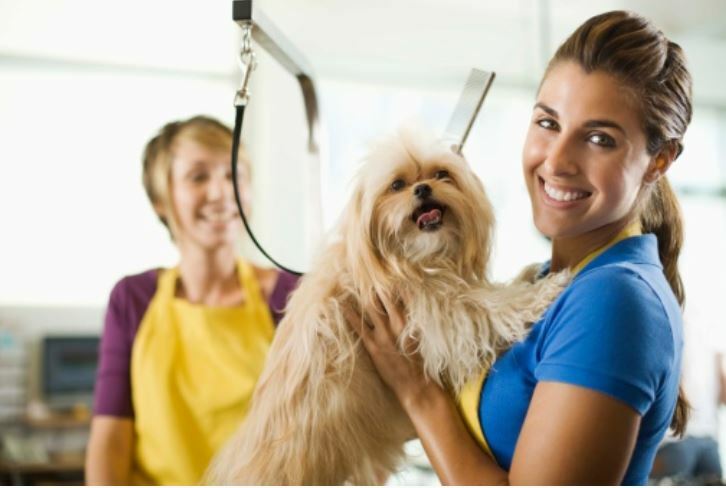 Our staff is knowledgeable and have been in the mobile pet grooming business for years. They are trained to put your pet’s well-being before anything else. So, you can be assured that your dog will look and feel great. Our mobile pet grooming equipment is hygienic and state-of-the-art to give your dog a deep clean that will last for weeks. We also have many vans to service all of Hollywood, so you will always have one of our vehicles at your disposal. Mobile pet grooming is our passion in Hollywood, and we would love to bring that passion for helping make your dog enthusiastic about looking fabulous. Contact us Now to get a Free Quote or to schedule an Appointment! Overview of our Dog Grooming Services. WE ARE LOOKING FORWARD TO VISITING YOU SOON!